One for one global lifestyle brand, TOMS, has officially announced its B Corporation certification. It joins over 2,700 B Corp certified companies, which span across 60 countries and 150 industries. TOMS’ collaboration with the B Corp community will allow it to engage with a broader range of consumers across key demographics on important societal issues. TOMS was founded in 2006 after founder Blake Mycoskie witnessed the day to day hardships of children without shoes in Argentina. As a result, TOMS became the first company in history to adopt the one for one model ®. For every product sold, TOMS will help a person in need. One for one ®. To date, it has now distributed over 86 million new pairs of shoes alone to those in need. The revered B Corp certification bolsters the company’s status as a leading social impact brand with giving at its core, which has since expanded its product line into apparel, bags and eyewear. 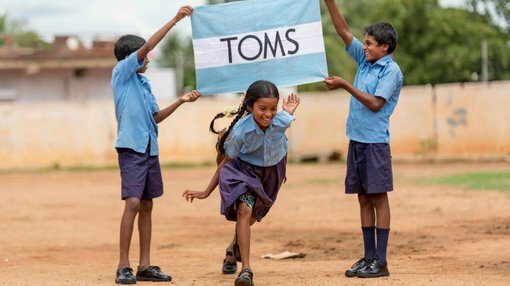 TOMS CEO Jim Alling spoke on the importance of the certification, “At TOMS we have always believed that striving to do right by the people and places we touch will not only lead to a positive social impact, but will also lead to positive business results. The certification builds off the momentum of TOMS End Gun Violence Together campaign, which launched in November 2018 in the wake of the November 8 Thousand Oaks mass shooting. On launch, the company donated US$5 million to non-profit organisations working to end gun violence. 60 countries, 150 industries, one unifying goal. Certified B Corporations are businesses that meet the highest standards in operation, which include: verified social and environmental performance, public transparency and legal accountability to balance profit and purpose. B Corps aim to expedite a global cultural shift at corporate level, to redefine success in business and create greater inclusiveness and sustainability in the economy.